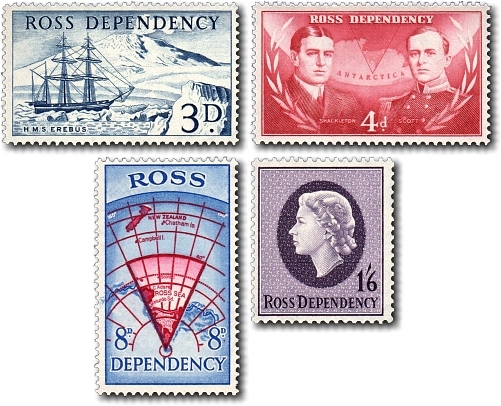 These stamps were issued to be used in the special Post Office (actually a tent) established in Ross Dependency by Sir Edmund Hillary as part of the Commonwealth Trans-Antarctic Expedition. The stamps were intended to help support New Zealand's claim of sovereignty over the Dependency. 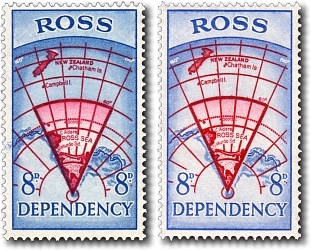 The stamps continued in use and were decimalised in the 1967 Ross Dependency Decimal Pictorials issue with the same designs. The 8 penny stamp is available in two varieties with differing shades of blue.